The bass clarinet is a singular musical beast, most often utilized by late Romantic composers looking to make an impact with unearthly mournful coloring. Wagner, Mahler, Puccini and Richard Strauss used the instrument extensively as did Berlioz (Te Deum, Les Troyens), Liszt (Tasso, Dante Symphony) Verdi (Aida, Don Carlo, Falstaff), and perhaps most creatively, Ravel (La Valse, Daphnis et Chloe, Pictures at an Exhibition). 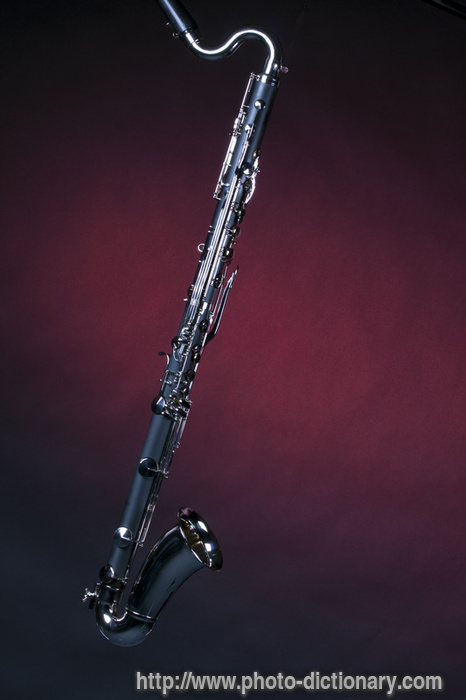 Less often is the bass clarinet spotlighted in a solo concert role, let alone as a duo. Leave it to the envelope-pushing ICE (International Contemporary Ensemble) to do so with a short but compelling program of music for pairs of bass clarinets and flutes Friday night at the Museum of Contemporary Photography. In addition to serving as a showcase for the estimable virtuosity of the evening’s four musicians, the program also offered three world premieres by young Chicago composers. Duo bass clarinetists Joshua Rubin and Campbell MacDonald, aka The Lowfirm, were heard in three works. Felipe Lara’s Vocalise utlilizes the bass clarinets’ upper range in an edgy jazz-like stridency, far from the animalistic lowing one associates with the instrument. Rubin and MacDonald displayed sterling versatility, the music ranging from ominous quiet bass notes to screeching high lines, with the players also called upon to sing into their instruments. Sortilege by John Zorn is characteristic of the composer in its feel of improvisatory abandon, showcasing Zorn’s anarchic style. The jazz-flavored nonlinear spontaneity in this music is hard to resist, and the Lowfirm duo brought full-throated fervor and intense bravura to the driving lines, providing a tour de force display in this chaotic free-form jam session. The rest of the works were world premieres, the most significant of which was Ryan Ingebritsen’s Residence on Earth Part I: El Gran Oceano. Like many works before, by Debussy, Chausson and others, this music was inspired by the sea, as well as Pablo Neruda’s referenced poem, and is scored for two flutes, two bass clarinets and electronics. El Gran Oceano is part of a planned cycle yet worked quite effectively on its own in Fridays night’s debut performance. A large-scale work in two sections, it opens with a slow, gradual unfolding that seems to evoke the ocean’s dark depths. A recording of Neruda’s Spanish stanzas are set against the live performers, in music that rises and coalesces in intensity. The work would be even stronger as a single movement without a break since the second shorter part seems a bit anticlimactic. Also some of the electronic effects, as the reader’s voice is morphed into an indecipherable wave-like swirl, proved rather piercing and probably more distorted than was intended. Still, Ingebritsen’s El Gran Oceano is powerful, atmospheric and compelling music that evokes both the austerity and malign dangers of the sea. Flutists Claire Chase and Eric Lamb took part in Ingebritsen’s premiere as well as two new works for flute duo. Marcos Balter’s brief Edgewater was inspired by his residency in the eponymous north side neighborhood. The work is a celebration of the area’s bracing diversity–not in the usual hoary P.C. sense but in a way that celebrates the vibrant collisions of ethnicities and individuals. Maybe it was the winter night, but the biting rhythmic alto flute set against the bass flute’s wave-like phrases seemed to reflect the lakefront wind as much as the water, but charmingly so with perhaps a hint of Spanish dance thrown in. Also heard was Pablo Chin’s Como la leyenda de Ixquiq. Chin’s music effectively contrasts legato lines for one player against sharply percussive notes from the other. In both works, Chase and Lamb brought combustible intensity and daunting physicality to their playing.